A very good way to avoid having to deal with being unwillingly monitored or spied on, is preventive protection and security. In today’s day and age, it is not only a requirement but a very good habit to develop and share with your kids. We have previously covered the topics of finding out if someone has possibly installed spy software on your phone, and also how to proceed to delete them off your device. 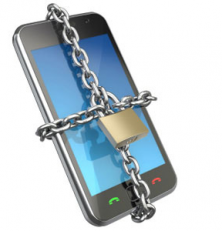 In this article, we will give you simple ways and advice to better secure your cell phone or tablet. Most of us don’t even really consider if we have sufficiently secured our electronics, and overall concern is insufficient when it comes to this topic. It’s mainly because technology and mobile computers have practically grown into our daily lives in such a short time span, that we still lack proper education and awareness of all the security challenges ahead. If you’re here because you have already been a victim of spying or malicious software, you already know. Unfortunately, the majority of the public is not sufficiently aware of all the flaws or faux pas when it comes to better and adequate security. We use our cell phones for just about everything now, and that means loads of sensitive information is leaving a trail, from your browsing history, pictures, messages, bank and credit card account details can all be taken by attackers. Mobile cell phone spy programs can commonly and effectively be used for these types of illegal activities, as they can be purchased and used by the general public. Let’s go through some steps to upgrade our protection. It’s crazy how many users still leave their devices unlocked, or use simple passwords that can easily be guessed by perpetrators. First things first, it’s not ok to leave your phone, tablet or laptop unlocked, especially if you carry it around to public spaces with you. Nowadays, everyone knows you can get free Wi-Fi at coffee shops and a bunch of other spots, and these popular data locations have become hotspots for attackers. Imagine leaving your device for just 3-4 minutes while you go order at the counter or head to the washroom, that little time of window is enough for someone to pick up your device, head to the app install page, hit download and be done with it. The victim will possibly be monitored for a long time to come and be none the wiser. Make sure you lock it, and that it locks at very short intervals such as 1 to 5 minutes at most. 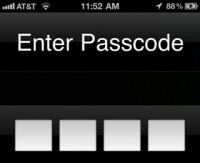 Adequate strong passwords are vital, yet so overlooked. Too many user still opt for simple key passes such as 12345, 1111, 0000, 45123, 1984. Do not use easy to guess stuff or your birth year, this is the type of stuff attackers will certainly try to guess. It is commonly known that these easy passphrases are still popular and unfortunately fails to add any valuable security to your cell phone or tablet. Make it your habit to stop using easy to guess passwords, and you have achieved a very important step in remaining safe for the totality of your online services. They is a wide variety of security software available that can tremendously help you stay safe from spy software and many other threats. As mentioned, using your smart phone’s native automatic screen lock combined with a strong password, is a very good starting point. Adding some additional software can take it to the next level. Multi-layered security is like adding armor, the more layers you add, the stronger the armor. Let’s have a look at some valuable apps that can help with every day security and protecting against spying and monitoring software. AppNotifier: This is a very powerful tool to use from day 1. AppNotifier will send you an email every time a new application is installed on your device. Having this on from the start will ensure you will always have a notification of new programs. If you see something you didn’t install, you will know exactly when it was done, helping you determine where and who might have done so. It’s like having a bodyguard 24/7 on your cell phone, available free with ads. 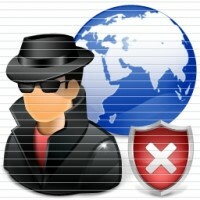 Anti-Spy Mobile Free : This free app offers to scan your cell phone and try to detect and remove and loggers, monitoring and tracking spy software that might have been installed. It has been highly rated by thousands of uses, which is a good sign that it may be effective against many tracking apps. We hope to eventually test it out ourselves, and report back the results, but for now, it can still be considered for extra security. 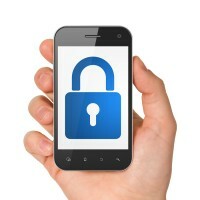 Mobile Security & Antivirus : Mobile Security & Antivirus from Avast! Is one of many antivirus and security apps offered on Google play. The choice is varied but most offer a similar list of protection features. Beyond spy software, mobile devices are now targets of a wide range of viruses and malware, and it’s at a minimum worth using a free version of one of these. Screen Lock & Screen Off and Lock: These two apps add features that allow you to lock your screen from a widget instead of having to use the lock button, or more advanced stuff like shake to lock. Both offer a long list of functions and offer free versions on Google play. This is not totally necessary, but if you find yourself leaving your device unlocked because you are bothered with pressing the button each time, these kinds of apps can help. What if You Have an iPhone? So, you might have noticed that we only covered Android apps, but there are plenty of security apps available on the Apple store as well. Using a basic Anti-Virus along with the screen and password protection we covered, the main thing to check for is if your phone has been jailbroken without you knowing. You see, for third-party apps to be installed, you need to Jailbreak the iPhone, or else you can only have access to Apple store apps. This includes spy software apps and with the exception of one service, someone would need to first do the jailbreak in order to install the software, unless the device had been previously unlocked already. To remove the jailbreak, you can simply update to the latest OS version, or perform a factory reset, but it is a very important detail to know about, so you can better understand how to keep your iPhone or iPad secure. By keeping the OS locked, you are adding a security layer against malicious or legitimate but wrongfully used monitoring software. Similar to jailbreaking, but completely different, rooting an Android device is often done in order to take advantage of all features offered by tracking software services. Although it’s not needed to actually root an Android in order to install a spy app on it, it remains very popular to do so, as it is a requirement for having visibility over third party apps like chat messengers and free VOIP calling apps. Skype, Viber, and WhatsApps are all examples of software that can only be tracked if the device is rooted. To help you find out if your device may have been rooted without your knowledge, head to our rooting page on the different options that come from it, and how it’s actually done. To remove a root profile from your Android device, the simplest way remains to update the OS if there is one available. You can always roll back to a previous version and update again. It is worth noting that it’s possible to update your OS and still retain the device as rooted. Various guides are available online with a quick search, just make sure to follow a recent one. We hope we have covered enough information that you have found everything you needed to help you. Remember that security starts with the user, follow through on these basic and easy steps and remember to make it habit. Don’t leave your phone or sensitive electronics unattended in public spaces or around someone you might not fully trust. Read more about detecting monitoring software if you have doubts that someone might have tampered with your phone, and if you already know that’s the case, here are some tips on how to uninstall it. Thank you for this article. Technology makes it so easy to invade ones privacy. Please provide specific apps for thE IOS system. To protect for spyware. Oh is it possible to install a spyware by using a phone number? If so does blocking the number prevents the spyware from being installed? I have a crappy Samsung which is just a basic phone no apps or any thing so I assume it is done via the network? Also I have a fire 7 tablet which is being viewed when connected and when it is not connected. Can spyware mirror a number to steal data and go from phone to phone? My old phone started having issues getting online and T-Mobile kept assuring me that my phone was fine and signal was fine but it kept happening sporadically so got a new phone and it worked wonderfully for a moment but started doing it too couldn’t upload download connect to internet my things logged me out randomly phone would reset itself or act like I’d never been on Google with it after I had it for a year. T-Mobile still insisted my phone was fine service was great etc. Well now i have a new phone a new number and email and I went on old phone to see if anything was safe to move to new phone and saw Facebook logs from places I haven’t been so I hit log out of all but it wouldn’t let me log out and secure your account wasn’t working either. I have pictures that have gotten corrupted after months of them looking normal and I can’t email them to myself for some reason. But it’s pictures of my dogs like when they were born and I really don’t want to lose them. Please help me, please!